Also situated in Flushing Meadows, Corona Park is home to the Unisphere: a large metal globe that you have probably seen a photo of before. The globe has a circumference of around 36 metres! It is, therefore, the largest in the world. This metal construction was built for the 1964 World Fair. In the surrounding park, you can find the courts used for the US Open. Taking a walk through the park is a nice activity for a sunny day. 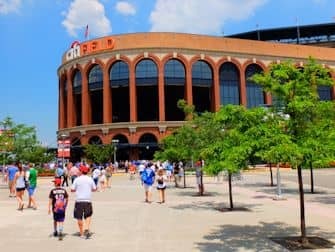 To get there, take subway 7 to Mets – Willets Point, from where the park is a short walk. There is also an attraction in Queens for art lovers. 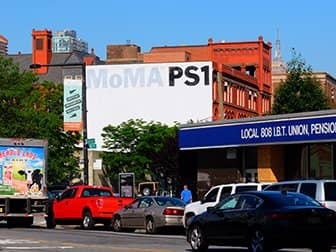 In Long Island City you can visit MoMA PS1 which belongs to the world famous Museum of Modern Art in Manhattan. MoMA PS1 focuses on modern art. You can get there by subway or NYC Ferry to Long Island City or Hunters Point South (MoMA PS1 is closed on Tuesdays and Wednesdays). I recommend combining a visit to MoMA PS1 with breakfast, lunch or dinner at the nearby Court Square Diner. At this authentic American diner, you dine amongst real New Yorkers as you hardly see any tourists. If you are looking for a budget friendly hotel, then Long Island City in Queens is a good option. It isn’t a very cool or cosy neighbourhood but it is a good base for your visit to New York. 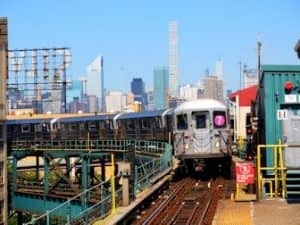 Long Island City is safe and offers an abundance of subway lines that can get you to the middle of Manhattan within around 15 minutes. I recommend a hotel in Long Island City like this one for everyone looking to be close to Midtown but finds the hotels in Manhattan too expensive. 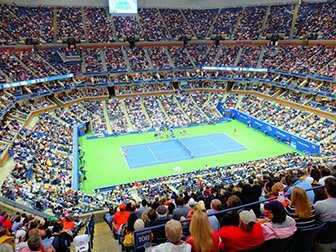 Queens is best known for its sporting events. Besides the annual New York Marathon, which runs through this borough, the Mets stadium is also located here. The Mets are the second most prominent baseball team in New York (after the New York Yankees). They opened their new stadium, Citi Field, in 2010. 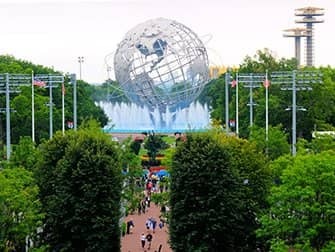 In addition, Queens is also host to the US Open Tennis which takes place annually in Flushing Meadows.